Over the years the newspapers have reported this nativity becoming a frequent target of merry pranksters who would mischievously replace the baby in the manger with a whole host of other objects that many would deem not in keeping with the sanctity of the season. 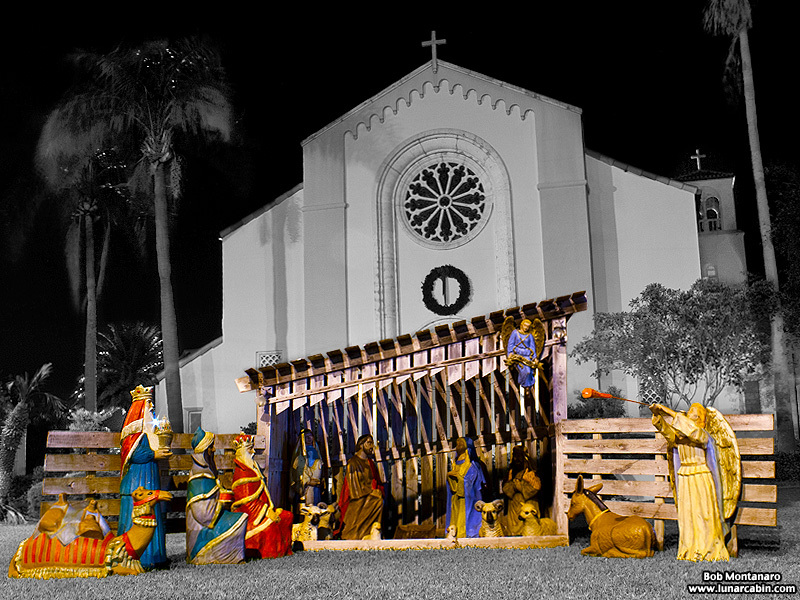 Recently I stopped by to photograph this scene and there was no manger or baby of any denomination present. Perhaps over the years the religious staff have grown tired of finding liquor bottles and beer cans or some less-than-holy doll slumbering peacefully in place of the expected occupant. I generally don’t drive by this location too often so I probably won’t ever know if the rest of the tableau ever makes an appearance this season before the whole thing disappears in the new year.